It’s not every day that people get to go to Walt Disney World, so it’s best if everyone gets to make the most of their experience the first time around. The solution to this, of course, is to be prepared. Knowing what’s in store for you the moment you enter this exciting place will help you have fun throughout your visit. Here are a couple of things you should know before you go there and start having fun. These tips come from people who have been there more than once, so they’re pretty much the closest thing you’ll get to a reliable source. They might also prove to be helpful to those who aren’t first timers. 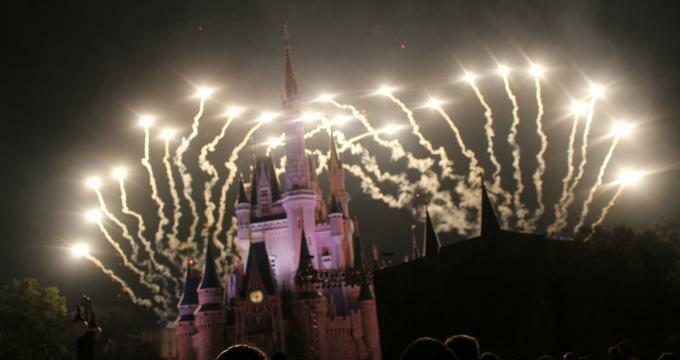 Everybody knows that Walt Disney World is big, but even that word is an understatement. This is why Walt Disney World is also called the “big place” in Florida as opposed to the “little place” in California. The sheer size of the park can’t be stressed enough. We’re talking about 25,000 acres huge, and inside this massive landscape are 24 hotels, two water parks, four theme parks, and a whole lot of spots in between. The obvious upside to having so many attractions is that you’re probably never going to run out of things to do as a first timer (maybe even a second or third timer). You could come here for two weeks and you’re not going to cover even half of it. Whether you try to cover the place on foot (read: not recommended) or take transportation to go around, chances are, you’ll only be able to visit one park per day – so try to revolve your plans around that idea. But if you want to go park hopping, know that you’ll have to spend hours commuting. Some parks take longer to get to than others, but the idea is that a huge chunk of your day will be spent moving from one place to another if you don’t stick to a single park. You’re eventually going to have dinner at some point, not only because it’s part of the experience, but simply because going around will build up an appetite! And when that happens, you don’t want to find yourself without a place to eat. Fortunately, Walt Disney World restaurants offer Advance Dining Reservations (ADRs) for up to 180 days before your trip. You definitely need to take advantage of this, because you can count on popular restaurants like Chef Mickey’s, Cinderella’s Royal Table, Le Cellier, and Be Our Guest Restaurant to be fully booked months in advance. With that said, try not to rely on the Free Dining promotions too much. They’re great, but what guarantees you a spot are the ADRs. More importantly, make sure you take advantage of ADRs months in advance. Some people make reservations as early as 170 days before and they still can’t the place they were hoping to get! How are you going to get around? Most people use the complimentary Disney’s Magical Express, which takes passengers from Orlando International Airport to the hotels owned by Disney. Of course, these transportation services can only take you so far before you realize you need to have your own car to really get around. The problem is that most car rental services at the airport are pretty expensive. Some travelers have sworn that they would spend more on renting a car alone than simply travelling to other places. There are, however, some companies that offer competitively lower rates, but they’re known for being very pushy with add-ons like insurance, which is how they make up for the lower rates. In any case, a good way to rent a car while saving on the exorbitant fees is to wait until you leave the airport to rent a car. Most off-airport locations offer car rental services at rates that are significantly lower than those travelers encounter at the airport. It’s no joke: going around Walt Disney World will be physically exhausting. As if walking around one park isn’t tiring enough, imagine if you had planned to go park hopping for a day. This means that you need to be fully rested before your trip if you want to be able to make the most of your visit. Meanwhile, you’ll also want to make sure that you’re comfortable for the experience. Small things like dressing comfortably, staying dehydrated, and having a full meal prior to visiting the parks can make a lot of difference throughout the day. Resting in between destinations also seems like a good idea for the long haul. If you can, sparing an extra day or two can be good. This gives you time to breathe between activities, which makes for a more comfortable vacation since you won’t feel like you’re pressed for time. If you’re in Walt Disney World, you’re obviously on vacation, so why not take things a bit more slowly? Don’t insist on a tight schedule because that’s never going to work. You’ll want to make room for lots of delays and unexpected events, because you never really know what’s going to happen when you get there. To get a good idea of how much time you should allot, try this: Make a list of all the things you want to do in one day. Once you’re done, cross off half of the things there. It might sound ridiculous, but many people who have gone to Walt Disney World say that they never had the time to do literally half of the things on their itinerary. Also, make sure you account for travel time as well, taking into consideration the transportation you’re planning to take. In short, have a loose itinerary. Even assuming that you can cover everything you have on your list, you’d probably end up not being able to cherish moments because you’re just pressed for time. You might also miss out on some entertainment you might accidentally stumble across along the way. This is a vacation, not a marathon, so build a schedule that lets you take it slow and enjoy every moment. Contrary to popular belief, a long line doesn’t always mean that there’s something good up front. This isn’t to say that people have bad taste, but sometimes some relatively fun attractions are preferred because they’re more accessible than most (among other factors like capacity, etc.). Conversely, there are many attractions out there that aren’t as popular but actually happen to be really good. If your goal is to cover more ground in one area, try not to let the long lines fool you. Chances are that it’s not worth spending hours on a single line if you could have used that time to have fun elsewhere. So, unless it’s been your childhood dream to get on that one ride, try not to spend most of your days standing in lines. - Off-site hotels: Checking into on-site hotels offers a better overall experience, but if you want to save your cash for something else during the trip, there are a lot of off-site hotels in Orlando that offer lower rates. - You can bring your own food: It’s a rare thing for theme parks to allow its guests to bring their own food, but you might be able to bring a few snacks just so that you don’t have to stop to get some later. Of course, don’t worry if you run out – the prices for food on site are a lot cheaper than the overcharged snacks you have to pay for at the movies. - Don’t spend too much on souvenirs: Unless you’re looking at something novel in the gift shop, you don’t have to spend much on bringing back something memorable from the trip. There are lots of freebies going around the park, and the tickets alone make pretty good souvenirs! But if that’s not your thing, there are a couple of shops nearby that offer discounted items. Failing that, you can get cheaper stuff online. - Bring a good camera: Disney offers a free PhotoPass service where the staff takes photos for you. The only catch is that you’ll have to pay for the printing and Memory Maker package if you want it. The way around this is to bring your own camera, since the photographers will gladly take your photo using your own gadgets. Ultimately, good preparation is the key to making the most of your Walt Disney World experience. Taking time to set a loose schedule, plotting out an itinerary, and making reservations will definitely make all the difference on your first-time adventure.